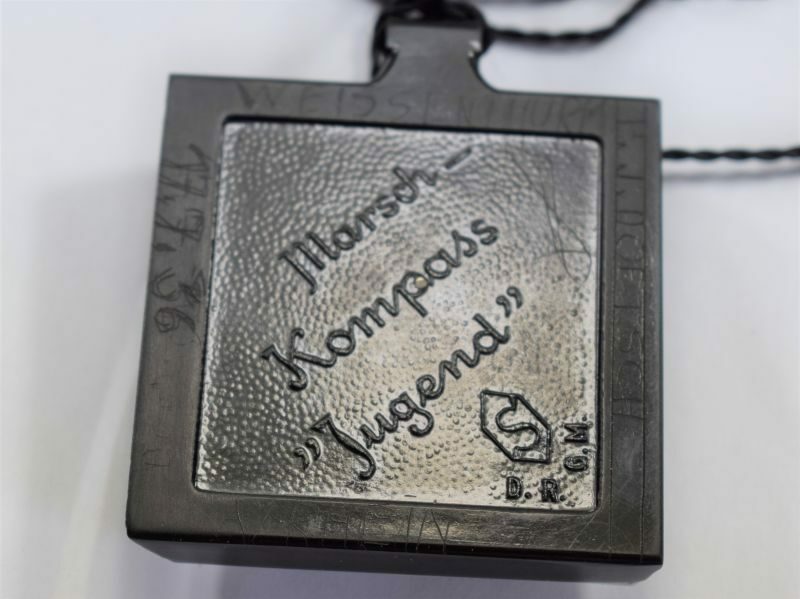 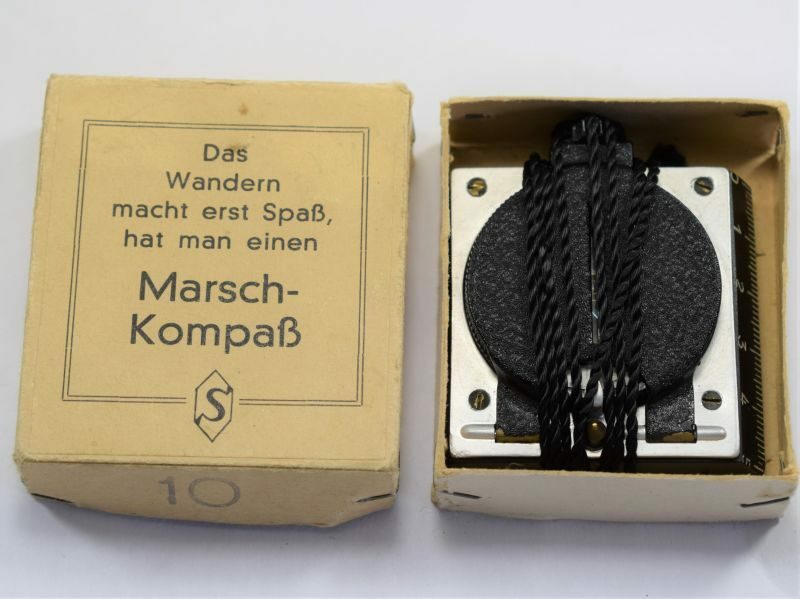 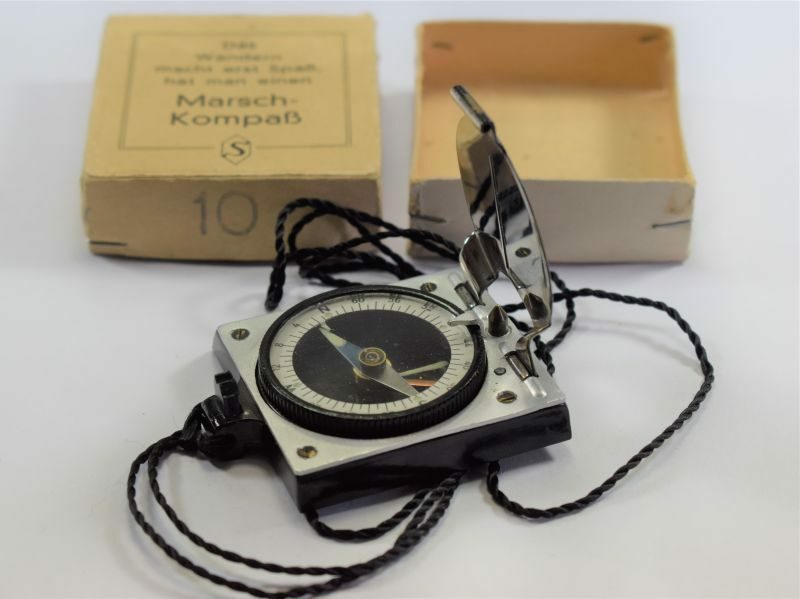 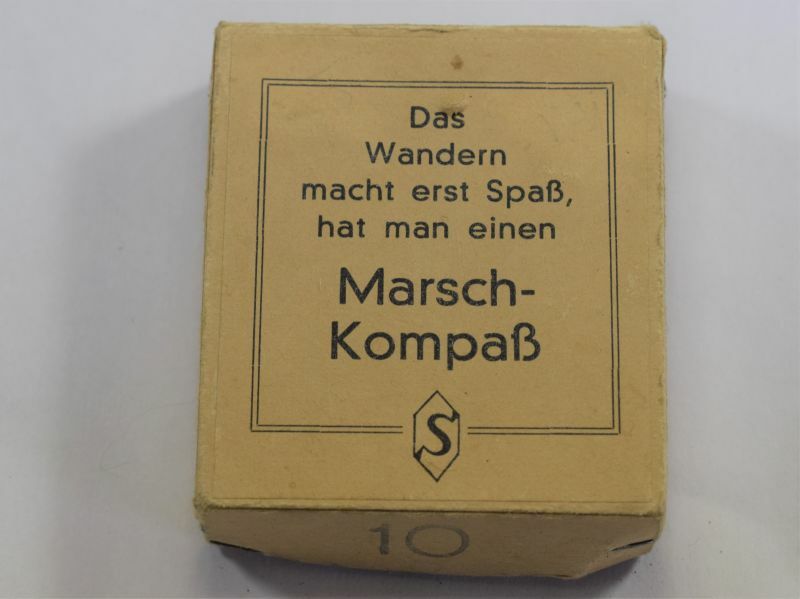 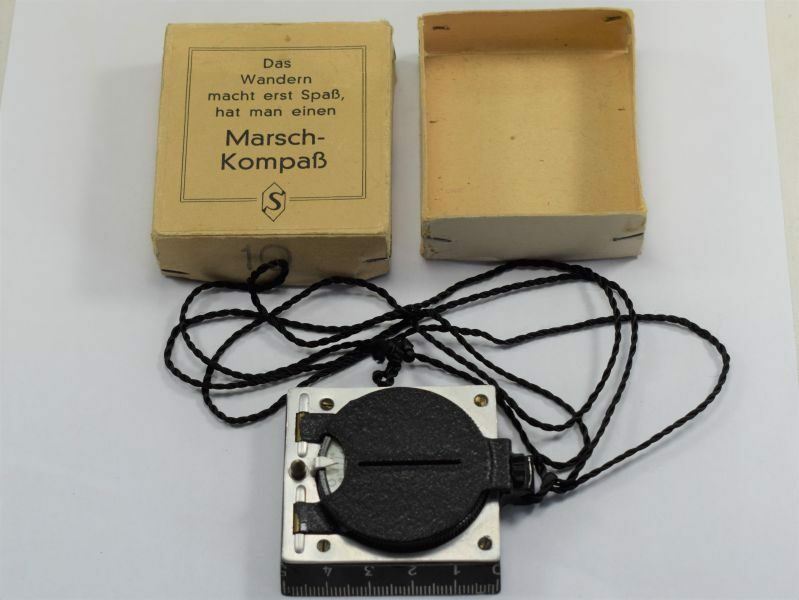 A really very nice original German Hitler Youth marching compass complete with original issue card box. 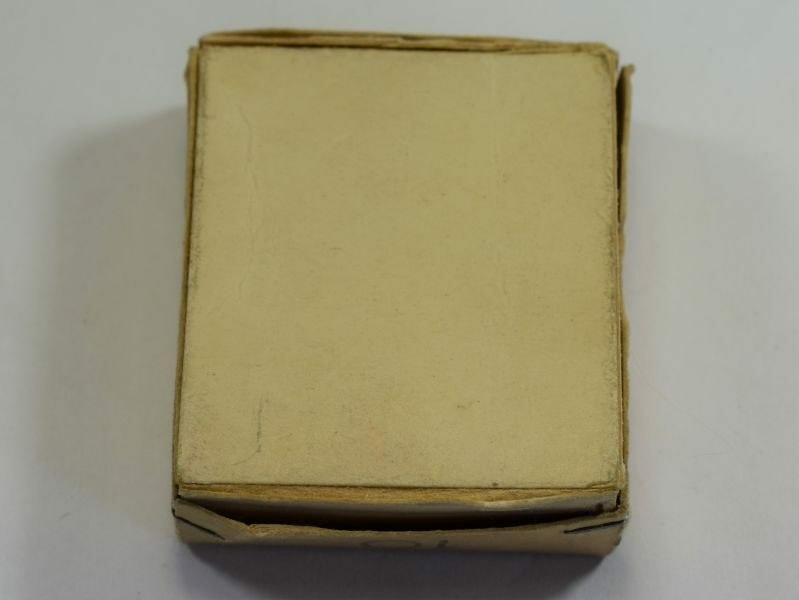 The box is in great order with just minor wear. 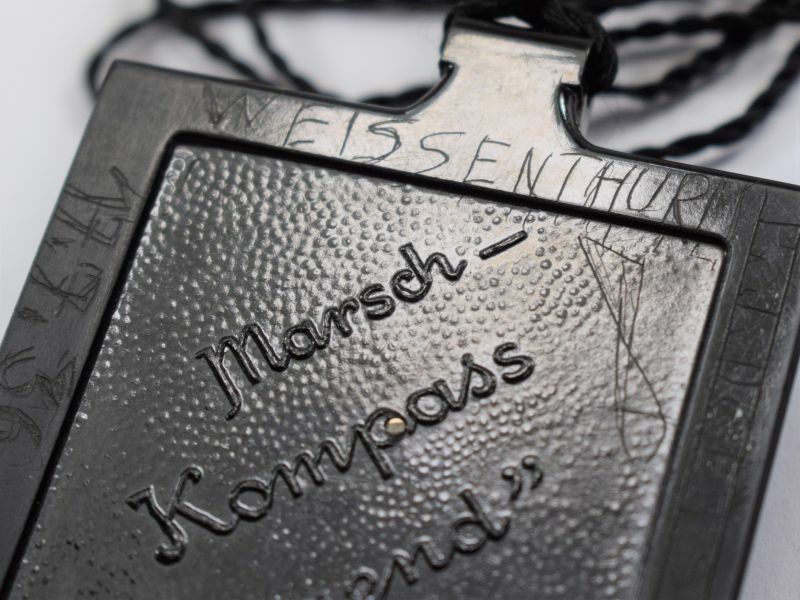 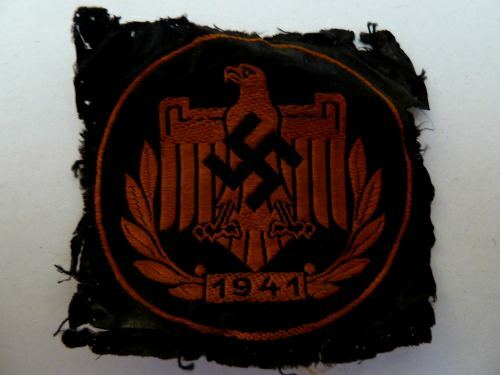 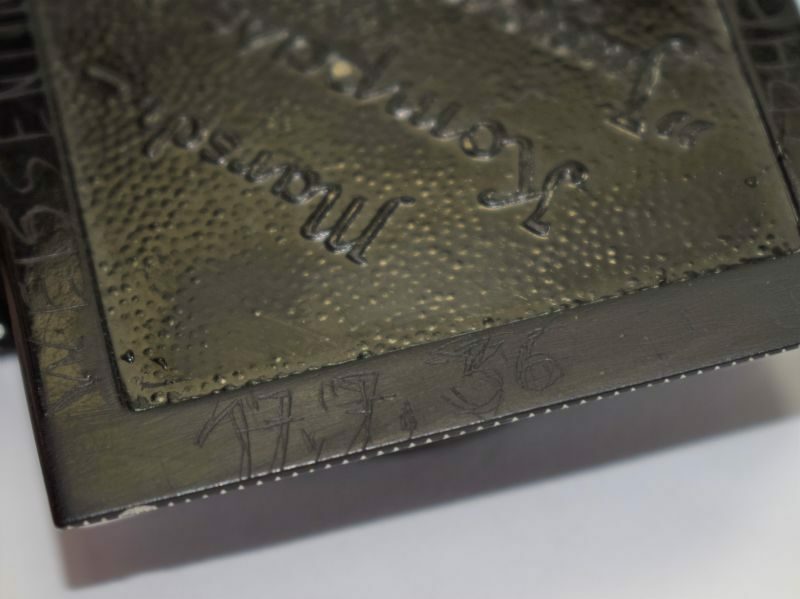 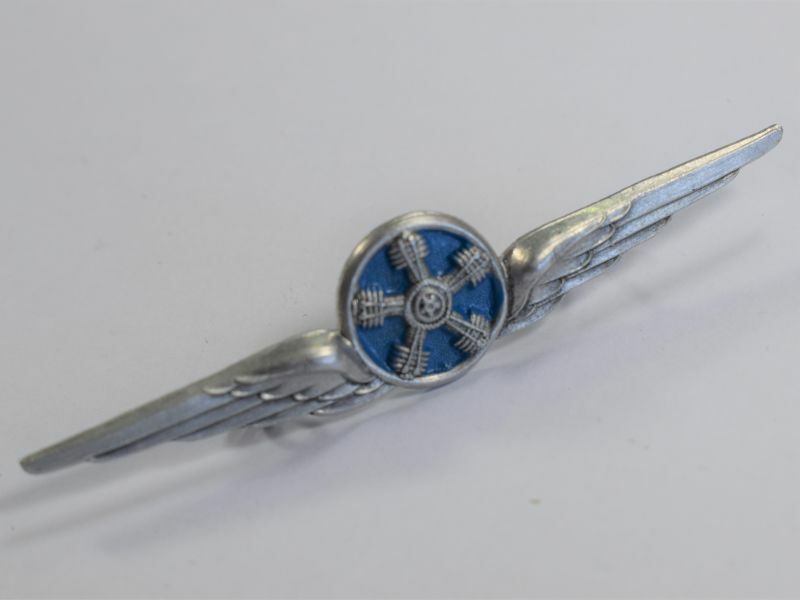 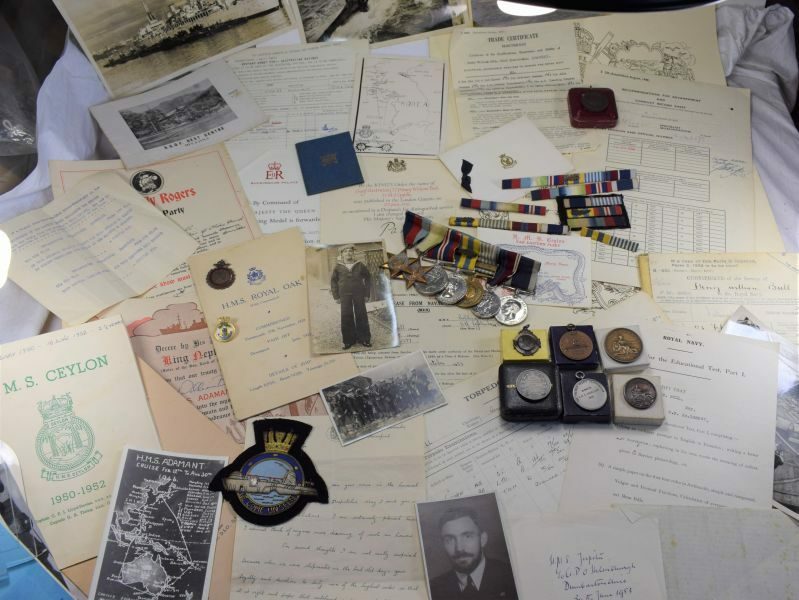 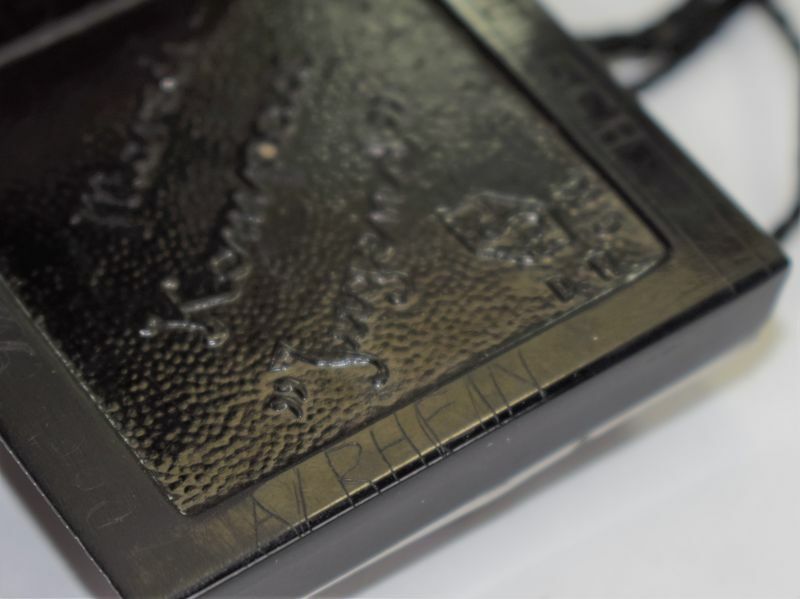 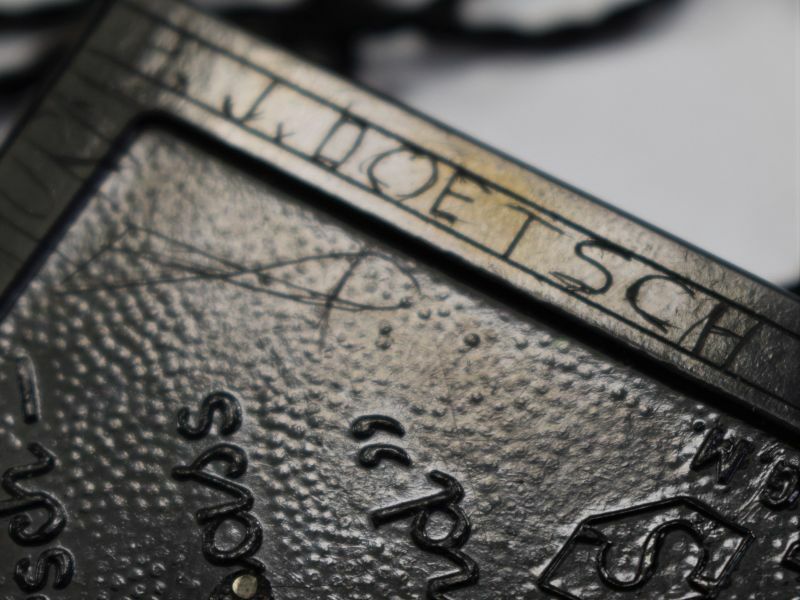 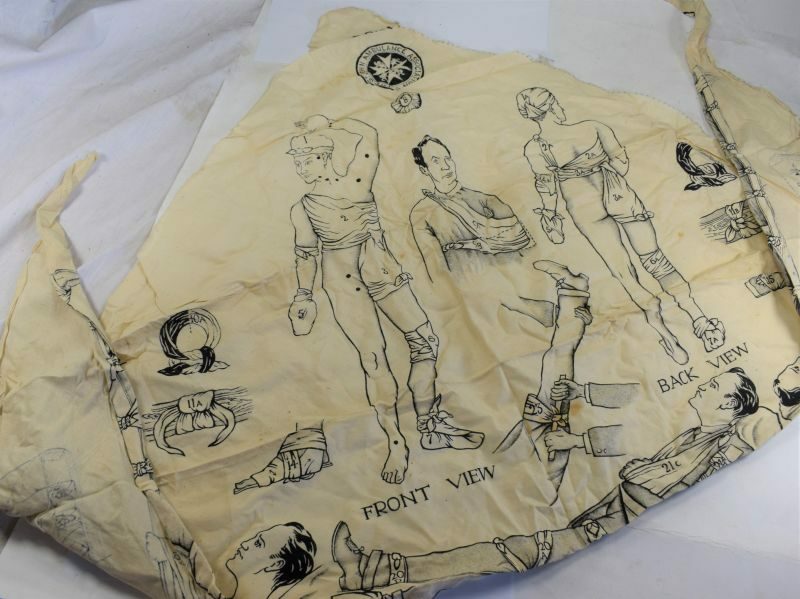 The compass is excellent and looks to have seen only minor use, it is nicely “Jugend” marked to the base, the original owner has scratched his name and address to it along with the date 17/7/36. 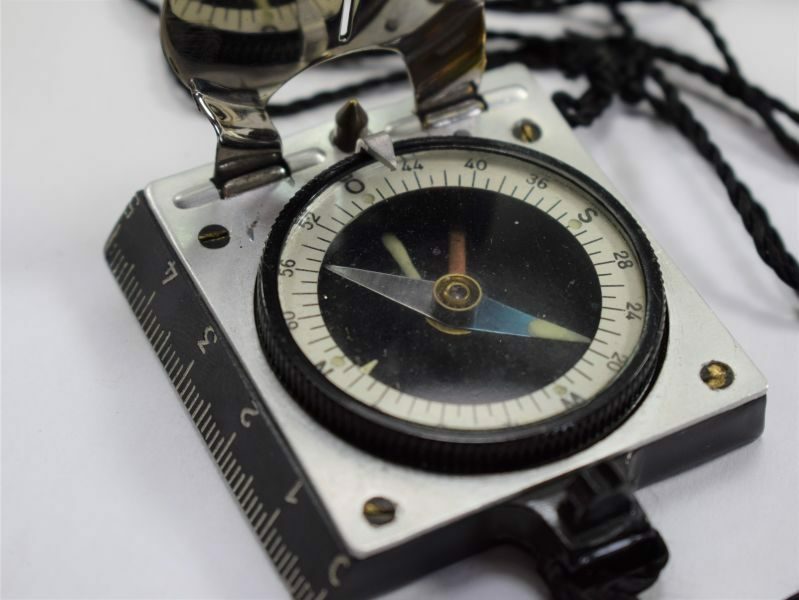 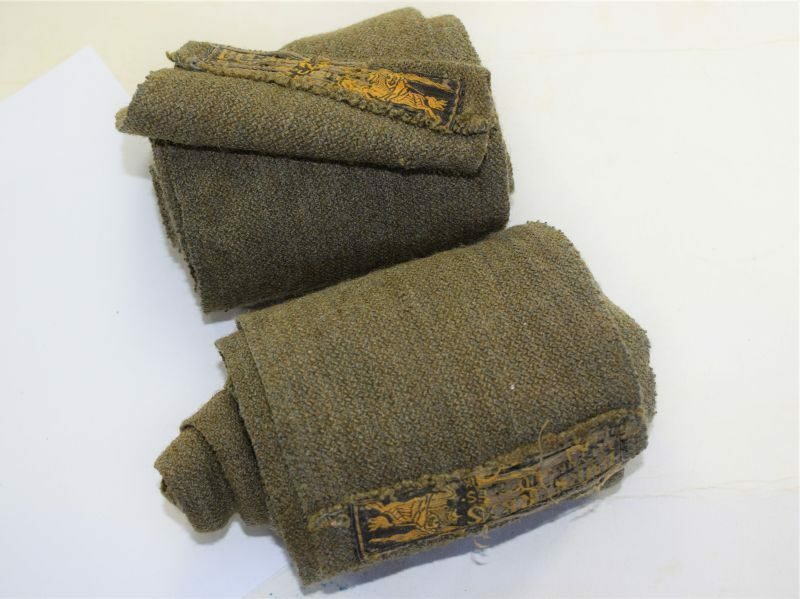 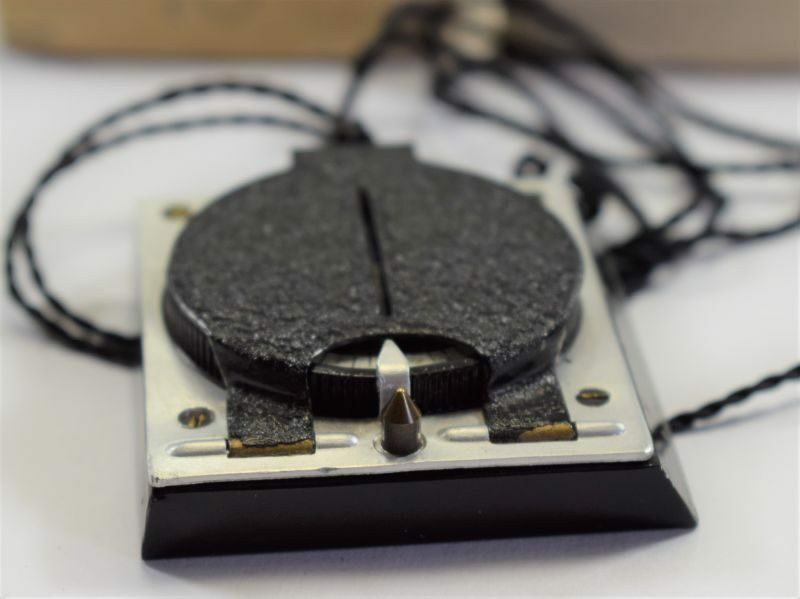 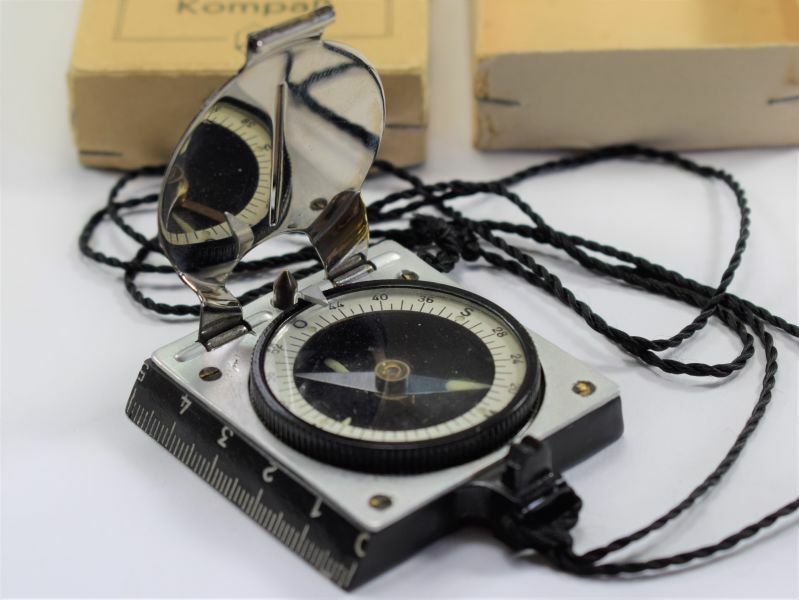 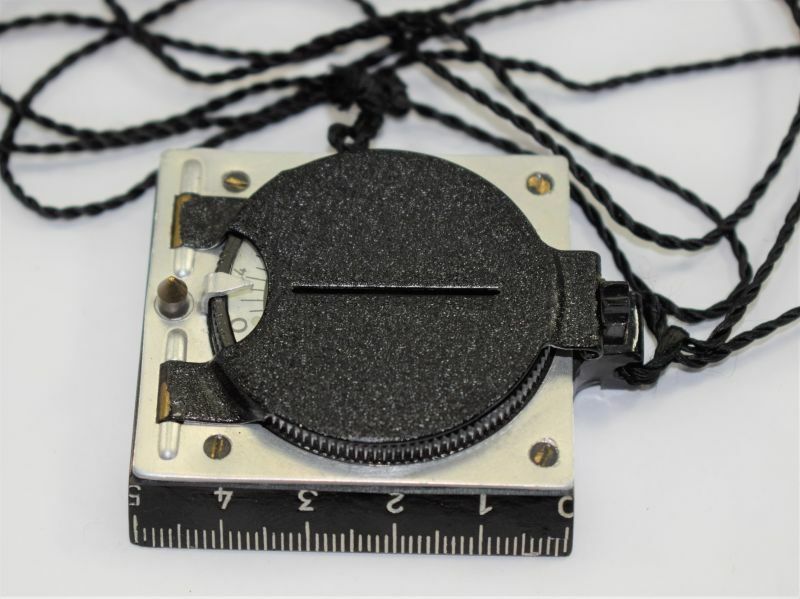 The compass is in excellent working order and comes with what looks to be its original neck cord.